“Art of Giving” is rather a way of life. The bliss of giving cannot be received through teaching. It has to be felt and realized at one’s deeper emotional levels and that is why it is regarded as one of the most revered human virtues. Mythologies suggest that even before Paleolithic man accidentally discovered fire, there was someone who in order to provide happiness to the human world had sacrificed his own peace and pleasure. Knowledge is powerful. Knowledge is a tool that empowers and also teaches to control and manipulate. Thus, exchange of knowledge eventually becomes a political battlefield. Knowledge acts as a medium as well as a political device and that is why it should be disseminated and made available for the smooth functioning of the society. Both giving and knowledge are intertwined. They both sow seeds of spiritual development within the human beings. When the right spirit of the art of giving is mastered, both the giver and the receiver experience bliss at the core. Giving is not just about dissemination of tangible properties but also encompasses sharing of intangible kernels of knowledge. The Art of Giving lies in this moving beyond individual preferences and contributing to the greater integrity of the humanity which will lay the foundation stone for the progress of the entire humanity and liberation of people from their self destructive egos. 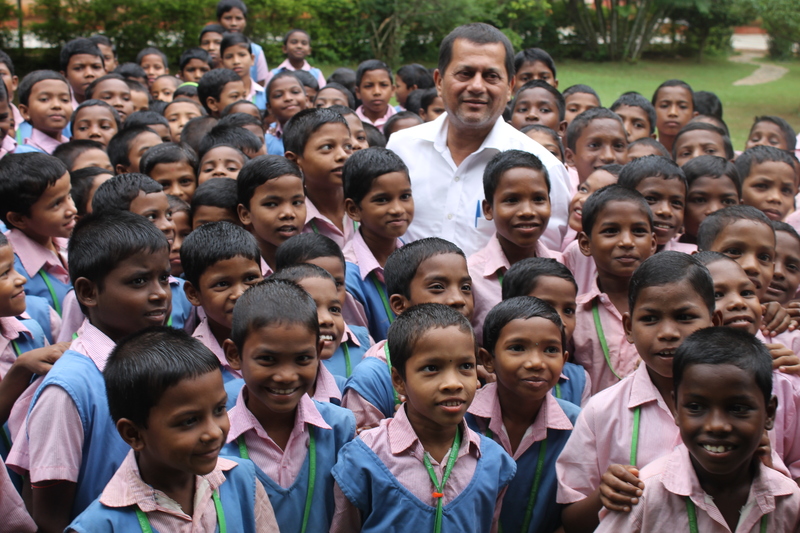 Founded in 2013 by Shri Achyuta Samanta, Art of Giving is a humanitarian movement engaged in spreading peace and happiness.